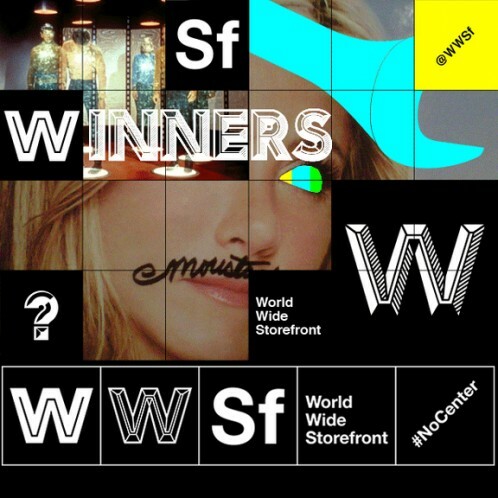 Storefront for Art and Architecture announces the 10 selected projects that will be part of WorldWide Storefront (WWSf), a new initiative to provide a simultaneous, multi-locus of alternative spaces around the globe and a digital platform for the expression and exchange of latent desires within contemporary art and architecture practices. A jury composed of Beatrice Galilee, Joseph Grima, Jimenez Lai and Marina Otero has selected a group of ten proposals from around the globe. From the study of different states of abandonment in Athens to the discussion of around urban growth in Santo Domingo, from the occupation of a public residual space in the city of Los Angeles to a traveling production space aboard a commercial container carrier, from individuals to collectives across the globe, these ten projects constitute a group of curatorial visions that articulate alternative positions within their particular context. From September 19 to November 21, 2014, all selected entries throughout the world will simultaneously open and have a two-month program of exhibitions and events. All events will be recorded and broadcast through the WorldWide Storefront online platform and presented at the Storefront for Art and Architecture Gallery embedded in the installation WWSf Portal, a collaborative design by Marc Fornes and Jana Winderen. An artist residency that will invite artists to travel on board commercial freight ships to worldwide destinations along various shipping routes, addressing questions of isolation and transportation as a way of redefining the contemporary artist studio. A space designed and constructed by the authors under a bridge in Los Angeles will serve simultaneously as an architectural object and as a container for a series of events, exhibitions and performances. Located at The Neutra VDL Research Site in the Silverlake district of Los Angeles, the project explores the multivalent meaning of the word “host”: a talk-show host, a parasitic host body, and host house or city, via an exhibition and series of events. Reacting to the states of abandonment of cities in Greece as a result of personal and social crisis, and reflecting on the gradual reconstruction processes occurring in southern Europe, Microgeographies will present a series micro-exhibitions, actions, installations and performances in public and domestic spaces. A series of small interventions in and around the Tel-Aviv Central Bus Station in Neve Shaanan exploring different ways of embedding agriculture and natural ecologies in urban environments. The Portal will activate Toronto’s under recognized ravine landscape through a series of interventions and discussions occupying the entrance of an architecture studio. Storefront Marketplace implements itself into three different market environments in the US and Europe. Starting at a Hmong market in St. Paul, Minnesota, it travels to Thessaloniki, Greece and integrates itself into the city’s urban fabric and multi-layered, multi-cultural history. It resumes in Berlin, Germany, in an old restored indoor market. Its interest lies in investigating and experimenting with the marketplace as a space for exchange through performances, food, sound, and objects. An artist run program of films, lectures, performative interventions, radio programs, and culinary events engages and addresses large, central civic constituencies. Located on the back of a custom-built truck trailer, the Spectacle Syndicate will stop in five cities over the course of two months (Ithaca, Providence, Provincetown, Portland, Buffalo, and Boston) hosting forums, exhibitions and workshops coordinated with local experts. This is a cartographic urban project along the Canadian Pacific’s Railway, made by citizens and users crossing the railway both legally and illegally. The project will map and discuss the urban landscape and biodiversity of the site. A series of site-specific urban interventions and meetings in Polígono Central, Santo Domingo will explore issues of growth, identity and systems of sharing in the tropical communities. Beatrice Galilee (*1982, London) is a London-based curator, writer, critic, consultant and lecturer of contemporary architecture and design. Trained in Architecture at Bath University, and in History of Architecture MSc at the Bartlett School of Architecture, UCL, Beatrice specialises in the dissemination of architecture and design through city-wide projects, media, curatorial practice, research, editing and teaching. Beatrice is the Chief Curator of the 2013 Lisbon Architecture Triennale, Close, Closer. She was co-curator at 2011 Gwangju Design Biennale, 2009 Shenzhen Hong Kong Bi-City Biennale of Architecture and Urbanism, and curator of the experimental performance design projects Hacked and Afrofuture at Milan Design Week. She is the co-founder and director of The Gopher Hole, an exhibition and project space in London, and is associate lecturer at Central Saint Martins. From 2006-2009 Beatrice was Architecture Editor for Icon Magazine, one of Europe’s leading publications in architecture and design. In 2008 she won the IBP Architectural Journalist of the Year Award. Since studying architecture at the Architectural Association in London, Joseph Grima has pursued an international career as a curator, essayist, critic and researcher in the fields of architecture, art and design. Between 2007 and 2010, he directed Storefront for Art and Architecture, the New York gallery which is globally renowned for its role in supporting experimental practices in architecture and contemporary art. Since April 2011, he has been the editor of Domus. He is also co-curator of the first edition of the Istanbul Design Biennial. As a curator and independent researcher, Grima has designed and planned installations for events and institutions of international significance, including the Venice Architecture Biennial, the Shenzhen/Hong Kong Biennial of Urbanism and Architecture, and the Beijing Museum of Urban Planning. He is the author of several books, including Instant Asia (Skira, Milan, 2007), a critical overview of work by young and emerging architecture students in Asia, and Shift: SANAA and the New Museum (Lars Müller, Zurich, 2008); he has also contributed to a range of other books and publications. Jimenez Lai (Leader) is an Assistant Professor at University of Illinois at Chicago and Leader of Bureau Spectacular. He graduated with a Master of Architecture from University of Toronto. Previously, Jimenez Lai has lived and worked in a desert shelter at Taliesin and resided in a shipping container at Atelier Van Lieshout on the piers of Rotterdam. Before founding Bureau Spectacular, Lai worked for various international offices, including OMA. In the past years, Lai has built numerous installations as well as being widely exhibited and published around the world, including the MoMA-collected White Elephant. His first manifesto, Citizens of No Place, was published by Princeton Architectural Press with a grant from the Graham Foundation. Draft II of this book has been archived at the New Museum as a part of the show Younger Than Jesus. In 2012, Jimenez Lai has been named a winner to the Architectural League Prize for Young Architects. Lai won the Debut Award at the Lisbon Triennale in 2013. Lai was the curator and designer for the 2014 Taiwan Pavilion at the 14th Venice Architectural Biennale. Marina Otero is an architect trained in New York (Columbia University), Delft (TU) and Madrid (ESTAM), where she is completing her doctorate in architecture with a focus on contemporary cultures of circulation. In 2013, and as a Fulbright grantee, she graduated from Masters of Science in Critical, Curatorial and Conceptual Practices in Architecture at GSAPP, receiving the Program Award. Her professional and academic work has been published by Domus, Quaderns, Circo, Arquitectura Viva and El País, includes collaborations with the New Museum, The Glass House, the Istanbul Design Biennial, and has been awarded in different competitions including Europan. Marina became the director of the Global Network Programming in September 2013.